This forum has too harsh restrictions on including images size, a tiny screenshot is of no use! When you attempt to install experimental software you need to be knowledgeable enough to fix up the resultant mess yourself. I recommend you remove that repository then sudo apt update. If you get errors, apt will describe the actions you need to take. My guess is you're using the wrong repo. My goal is to install Starcraft 2.
i went into the software sources additional repo's from the main Menu and removed the wine one, then did the update as you said. 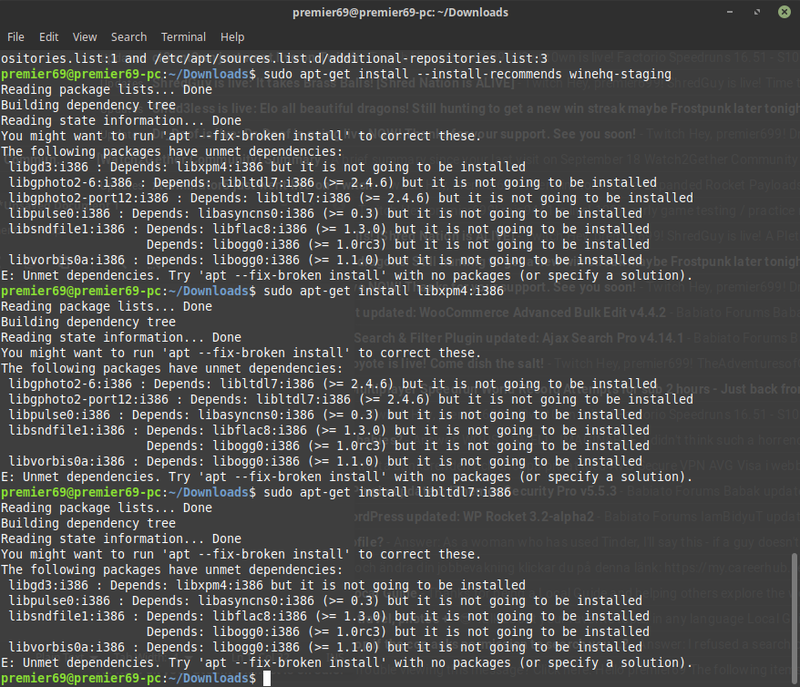 After that according to this guide https://www.maketecheasier.com/install- ... ng-ubuntu/ i tried sudo apt install wine-staging and got the same message as before, so I'm stuck with the same original problem. btw, you're on the Manjaro forums too, right? ...Then, these two repositories are bound to cause trouble, why did you add them? No idea, some guide I must have followed for some previous thingie. There are still some other issues unrelated to this topic. So it might be one of those problems I'm trying to solve.